The Volvo Car Corporation's strategy for engine development has for many years been based on high-torque engines, which offer a good balance between fuel economy, power, driveability, smoothness and durability. The engines have been refined over the years, the power output having been increased by the use of sophisticated technology, accompanied by even better fuel economy. The engines conform to the most stringent current and future international environmental standards. The five-cylinder diesel engine was introduced in 2001. 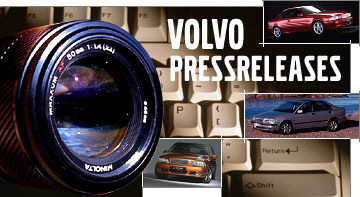 This advanced common rail construction was the company’s first diesel engine produced in-house - evidence of how important it is for Volvo Cars to be able to offer a modern diesel engine in the premium segment. It is built from aluminium to make it lighter and to give lower fuel consumption. It is available in two versions: 130 bhp and 163 bhp. At the Volvo Cars Engine Plant in Skövde, a new assembly system for diesel engines has been created. On top of this, a brand-new production system for the cylinder heads is in place at the plant in Floby, about fifty kilometres from Skövde, it has proved possible to adapt a production line for the manufacture of connecting rods for diesel engines. 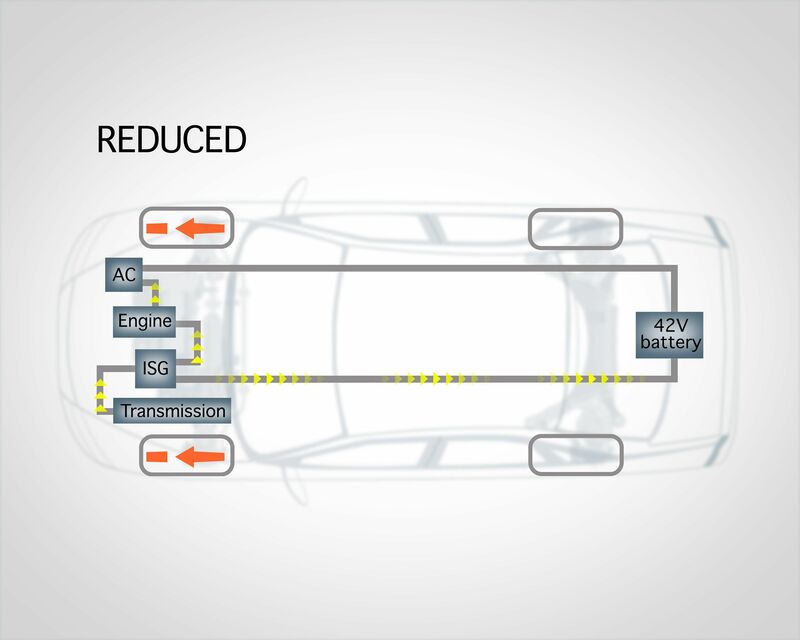 Volvo Cars’ bi-fuel engines run on both gas and petrol. Gas is the principal power source. When it runs out, the engine automatically switches over to petrol. The five-cylinder bi-fuel engines are available in two versions, depending on which kind of gas fuel dominates the market. One engine is made for CNG (compressed natural gas or methane), while the other is made for LPG (liquefied petroleum gas). 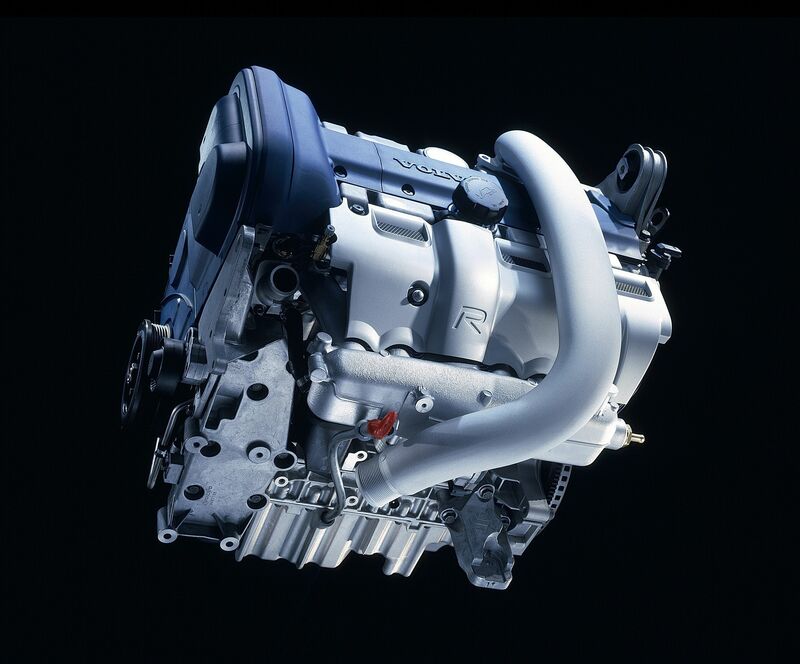 The power output of these engines is 140 bhp, irrespective of the fuel used. There is also a four-cylinder version of the bi-fuel engine which runs on LPG. Bi-fuel engines play a part in limiting the greenhouse effect by emitting less carbon dioxide. They also help to reduce smog in urban areas, since they decrease the risk of ground-level ozone forming. Most customers prefer a petrol engine in their car. Volvo offers a very wide range of four-, five- and six-cylinder in-line engines, with or without turbo charging. Most engines feature the latest in motor engineering, such as computer controlled fuel injection and turbos. The engines are built from the lightest possible material. High torque and low internal friction are the hallmark of a Volvo petrol engine. This means lower fuel consumption and cleaner emissions in all driving conditions. 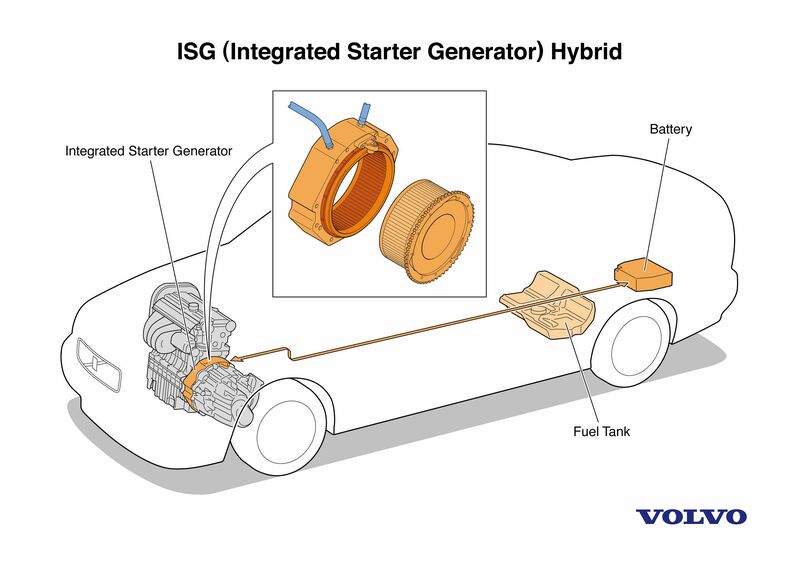 A Volvo invention, the Integrated Starter Generator (ISG), was demonstrated at the Frankfurt Motor Show in 2001. ISG can cut fuel consumption by as much as 20 per cent. The most noticeable difference compared with a conventional car is that the engine in a car with ISG switches off completely when the car comes to a standstill, instead of continuing to use fuel at idling speed - for instance, when waiting at traffic lights. 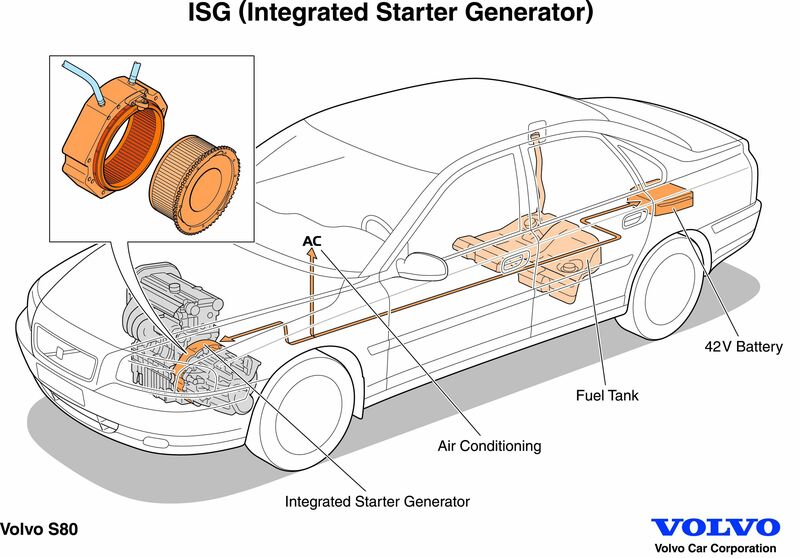 The ISG unit is installed between the engine and gearbox, linked directly to the crankshaft. It replaces both the starter motor and the alternator. In addition, ISG supplies power in operating conditions that would otherwise increase fuel consumption. The ISG system is soon to be reality in ordinary Volvo cars.